I’m sure there can’t be any quilters out there who haven’t come across the latest hottest quilt trend. So do you Zakka? If not, what are you waiting for? – the rest of the quilting world seems to be Zakkaing!! In Japanese Zakka means ‘miscellaneous goods or sundries’, but has come to mean a style that has a simple charm and uniqueness, and where items are handmade and useful, yet pleasing to the eye. Zakka Style by Rashida Coleman-Hale is a beautiful book. 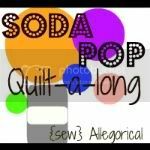 It contains 24 projects by different quilters from all over the world, most of which are made in linen accented with pretty, quirky, modern cottons. The projects vary from easy and suitable for beginner sewers (pencil case, mug rug, block quilt or hand warmers) to much more difficult items where some experience would probably be required (zip organizer, stem messenger bag, sewing kit). The layout is attractive and the instructions are clearly presented. I can imagine that a lot of these projects would be fabulous in linen with accents of Liberty tana lawn. Zakka is certainly taking the world by storm and these projects really do have a lot of charm. Will I be making a lot of them? Possibly not, but there are one or two that I’ve certainly got my eye on and there are several that children would find do-able and a lot of fun and I could imagine that my teenagers are going to have a go at some of them too. Zakka style is cool! Now I just need to get my hands on some linen! 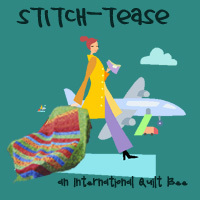 This entry was posted on Wednesday, May 23rd, 2012 at 2:11 pm	and is filed under Books, Quilting. You can follow any responses to this entry through the RSS 2.0 feed. Both comments and pings are currently closed. Zakka, eh? I have to confess I hadn’t come across that. It sounds very interesting. I bet you’ll Zakkarise some lovely creations! Happy linen hunting, you’ll soon be addicted!